A starry lineup of Great White Way favorites and original Broadway cast members will lead a new production of the 2008 Tony-winning musical In the Heights at the Kennedy Center in Washington, D.C. Vanessa Hudgens (Gigi), Ana Villafañe (On Your Feet! ), Eden Espinosa (Wicked) and newcomer Joshua Grosso are among the cast members set to present the first Broadway musical featuring a score by Lin-Manuel Miranda (Hamilton). In the Heights original cast member Stephanie Klemons will direct and choreograph the production scheduled to run from March 21-25 in the Eisenhower Theater. "With Lin-Manuel Miranda's electrifying score and moving story about home and family, this Tony Award-winning musical is timeless," said Jeffrey Finn, vice president of theater producing and programming at the Kennedy Center. "Plus, I'm elated that Lin personally chose Stephanie Klemons to helm the production and put together this brilliant team." 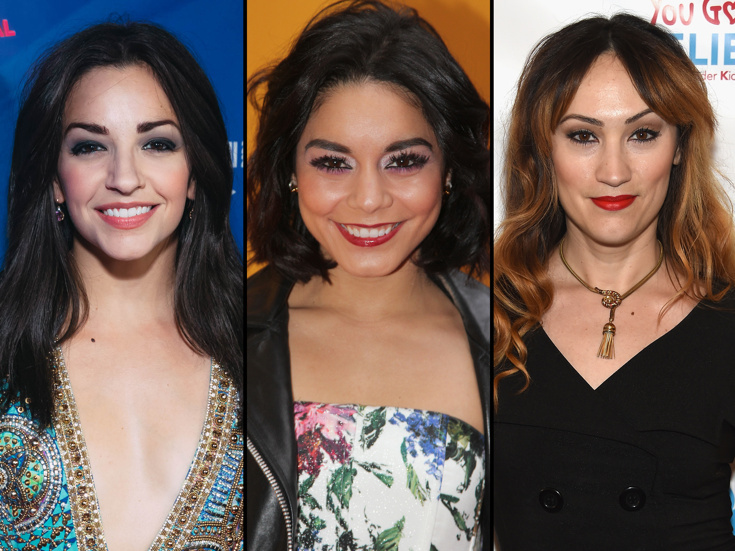 Hudgens will take on the role of Vanessa, with Villafañe as Nina, Espinosa as Daniela and Grosso in the central role of Usnavi (originated on Broadway by Miranda). They'll be joined by former Broadway cast member Rick Negron returning to the role of Kevin, with original Broadway cast members Blanca Camacho as Camila and Eliseo Roman as Piragua Guy. The cast will also include Mateo Ferro as Sonny, J. Quinton Johnson as Benny, Saundra Santiago as Abuela Claudia, Virgil Gadson as Graffiti Pete and Arianna Rosario as Carla. The In the Heights ensemble will include David Baida, Nico DeJesus, John Edwards, Hope Easterbrook, Rosie Fiedelman, Henry Gainza, Carlos Gonzalez, Morgan Marcell, April Ortiz, Khori Petinaud and Voltaire Wade-Greene. Look back at show clips from the original Broadway production of In the Heights below.